Know More about the Canada Immigration Rules! Every overseas country that provides immigration facility has their own bunch of rules and regulations, directives and policies to regulate the admission of each individual in the country. When it comes to Canada, it is said that Canada is one of the most popular destinations for immigration. Immigration has been pivotal in the economic history of Canada. Lately, the intricacy of Canada immigration has motivated the immigration lawyers of the country to develop some productive practice in the domain of immigration policy of Canada. Earlier, the immigration lawyers of Canada supported families in the country to sponsor the members of their family overseas, helped the businessmen of the country to employ overseas workers apart from also representing people subject to deportation order from Canada. In order to employ immigrants of economic class, such as: the skilled workers and business class immigrants, the Immigration and Citizenship Department of Canada has developed certain very significant immigration criteria. The current department of Canadian Immigration and Citizenship, which is also called as CIC Canada, is considered to be the most significant organization of the government of the country. If you are planning for Canada immigration, at first, you have to come up with the immigration application by using the approved forms for immigration purposes. The Immigration Department of the Canada keeps a record of the statistics of the number of migrants to the nation, number of approved applications, the type of persons migrating to Canada and other such data. The government of Canada has recently introduced new immigration rules for employers, for the temporary foreign workers. These new immigration rules will be applicable to both labor market and exempt work permits. These modifications will make the government of the country more powerful and will help them to keep an eye on temporary overseas workers and their employers. If anyone fails to comply with the modifications, then it will lead to serious some consequences for the guilty employer. According to the Canadian government, in reducing the exploitation of Temporary Foreign Workers by employers and agents, these amendments will be very useful. Moreover, it will help in increasing the accountability of the employers including denial of service and to encourage loyalty to terms and conditions. Anyone who is interested in Canada migration should be aware of all these new modifications. It will not only help the applicant in his or her immigration to the country, but also will protect him or her to commit any mistake that might lead to paying penalties. 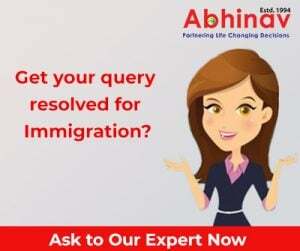 If you want, you can take the help of an immigration expert who can guide you through your Canada immigration and will make your immigration easier.